London: Faber & Faber, 1950. Cloth. Near Fine/Very Good +. SIGNED BY T.S. 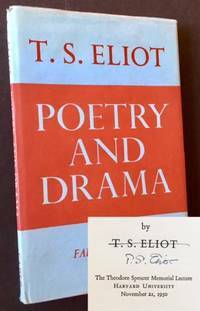 ELIOT on the title page. A crisp, very impressive copy to boot of the 1950 1st edition. Tight and Near Fine (with clean, unrubbed gilt-titling along the spine) in a bright, price-intact, VG+ dustjacket, with very light wear along the spine ends and just a touch of light creasing to the rear panel's edges. Octavo, the 1st appearance in book form of Eliot's seminal lecture at Harvard, the Theodore Spencer Memorial Lecture, November 21st, 1950. Cambridge University Press, 1914. Cloth. Near Fine. A clean, solid copy of the 1914 1st thus, edited by Benjamin Rand and published by Cambridge University Press. Tight and Near Fine in its green cloth, with bright gilt-titling along the spine. Octavo, 182 pgs. plus Cambridge's catalogue of recent publications. Cambridge, MA: Harvard University Press, 1935. Cloth. Near Fine. A very sharp copy of the 1935 1st edition. Tight and Near Fine in its dark-red cloth, with just a touch of light scuffing at the rear panel's lower-edge. Octavo, top-edge gilt, 209 pgs. London: David Nutt, 1909. Cloth. Very Good +. The 1909 1st edition. Solid and VG+ in its red cloth, with crisp gilt-titling along the spine. Octavo, 356 pgs. (with uncut signatures) plus Index. London: Macmillan and Co, 1910. Cloth. Very Good. The 1910 1st edition of this important Shakespearean criticism. Tight and VG in its navy-blue cloth, with mild rubbing to the front panel. Thick octavo, 666 (uncut) pages plus publisher's ads at the rear. 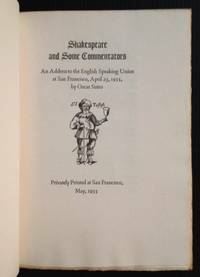 San Francisco: Privately Printed (Grabhorn Press), 1933. Hardcover. Very Good +/Near Fine. The 1933 1st edition. Tight and VG+ in its vellum-backed boards (small, neat former owner inscription at the front free endpaper, light offsetting to the endsheets) in a crisp, Near Fine dustjacket, with light creasing --and several very small closed tears-- along the panel edges. Octavo, limited to only 125 copies. Cedar Rapids, Iowa: Privately Printed (for the Friends of Luther Albertus and Elinore Taylor Brewer), 1922. Hardcover. Very Good +. SIGNED BY LUTHER BREWER on the front blank endpaper. A tight, well-preserved copy to boot of this 1922 privately-published offering to friends of the author. Tight and VG in its duotone boards, with light staining at the pastedowns and endsheets and just a touch of scuffing to the panels. Octavo, only 250 copies were printed by the Torch Press of Cedar Rapids. New York: The Macmillan Company, 1954. Cloth. Near Fine/Very Good. A solid copy of the 1954 1st edition. 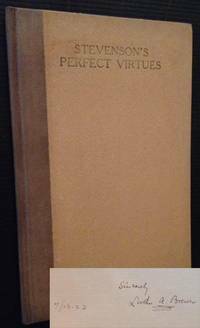 Tight and Near Fine in a crisp, price-intact, VG dustjacket, with light soiling to the front panel and spine and light creasing along the panel edges and spine ends. 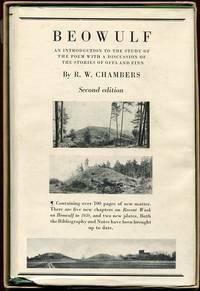 Octavo, 256 pgs. London: The Fortune Press, 1938. Cloth. Very Good. 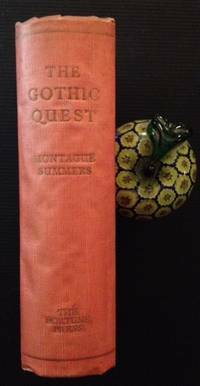 A solid copy of the 1938 1st edition, limited to 950 copies. Clean and VG+ in its red cloth, with gilt-lettering along the spine. Thick octavo, deckled fore and bottom edges. Cambrisge University Press, 1932. Cloth. Near Fine/Very Good. 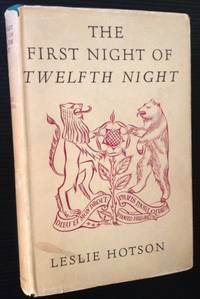 A sharp copy of the 1932 second edition, IN ITS UNCOMMON PICTORIAL DUSTJACKET AND PUBLISHER'S BOX. Bright and Near Fine in a crisp, VG dustjacket, with light chipping along the foot of the spine and very light rubbing to the rear panel. Thick octavo, 565 pgs. Also includes a sturdy, VG example of publisher's cardboard box, with typed title-label at spine. Princeton University Press, 1987. 1st. Cloth. Collectible; Fine/Fine. A crisp, very solid copy of the 1987 1st edition. Tight and Near Fine in a bright, Near Fine dustjacket. Thivk octavo, 595 pgs. New York: Harcourt, Brace & Co, 1936. 1st. Cloth. Collectible; Very Good/Very Good. A solid copy of the 1936 stated 1st edition. Clean and VG+ in a bright, price-clipped, VG dustjacket, with very light soiling and creasing to the panels and inconspicuous tape reinforcement at several small spots on the inside of the dustjacket. Thick octavo, 462 pgs. New York: Richard R. Smith, Inc, 1931. 1st. Cloth. Collectible; Very Good/Very Good. 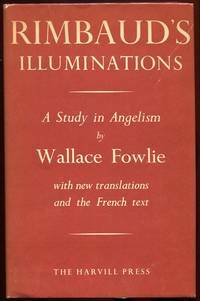 The 1931 1st edition. "How We Heathen Feel About Those Who Try to Make Us True and Beautiful and Good....How Is It People Can Seriously Pick Themselves Out to Be Professors, Physicians, Lawyers, Artists and Even Ministers in a Day Like This and a Civilization Like Ours?....What Is Our Civilization Doing and Going to Do with Them and What Are They Going to Do with Us?" (from the title page). Tight and VG (with light spotting at the front panel's lower-edges) in a bright, price-intact, VG dustjacket, with very light scratching at the rear panel. Octavo, 342 pgs. Cambridge University Press, 1989. 1st. Cloth. Collectible; Very Good/Fine. A very sharp copy of the 1989 1st edition. Tight and VG+ (with very small former owner stamp at the front free endpaper) in a bright, Fine dustjacket. Octavo, 280 pgs. Indiana University Press, 1986. 1st. Cloth. Collectible; Very Good/Very Good. 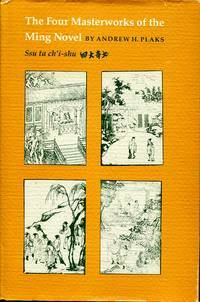 The 1986 1st edition. Solid, tight and VG+ (with small former owner stamp and date at front free endpaper) in a bright, VG+ dustjacket, with very light creasing --and one tiny chip-- along the rear panel's lower-edge. Octavo, 285 pgs. The Johns Hopkins University Press, 1980. 1st. Cloth. Collectible; Very Good. A tight, solid copy of the 1980 1st edition. VG+ in its dark-green cloth, with bright gilt-lettering at the front panel and spine. Small former owner stamp to the front free endpaper and pencil underlining at the first 4 or 5 pgs. Thick quarto, 628 pgs. Cambridge University Press, 1993. Cloth. Collectible; Very Good/Fine. A very sharp copy of the 1993 1st edition. Tight and VG+ (with small former owner stamp at the front free endpaper) in a bright, Fine dustjacket. Octavo, 348 pgs. Cambridge University Press, 1994. 1st. Cloth. Collectible; Very Good/Fine. A crisp, tight copy of the 1994 1st edition. Solid and VG+ (with small former owner stamp at the front feee endpaper and light underlining only to the first 8 or 9 pgs.) in a bright, Fine dustjacket. Octavo, 269 pgs. Columbia University Press, 1984. Cloth. Collectible; Very Good/Fine. A solid, tight copy of the 1984 1st American edition. Crisp and VG+ (with small former owner stamp and date at the front free endpaper) in a bright, Fine dustjacket. Octavo, 160 pgs.